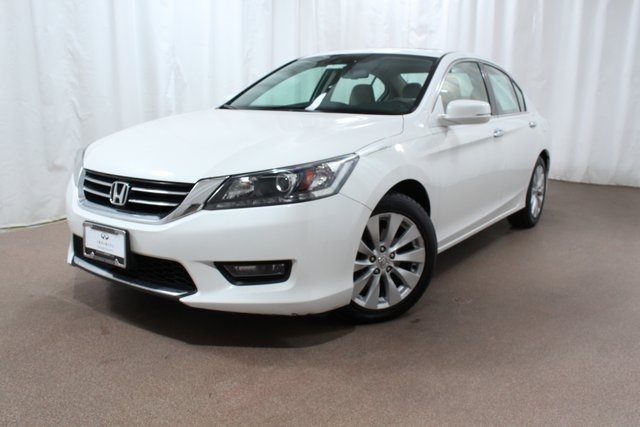 This 2014 Used Honda Accord in Colorado Springs is Very Well equipped and has been very well taken care of. Babied and respected by the previous owner, the only reason for the trade was to upgrade to an INFINITI SUV. Though our shop with flying colors and looking for a new home. Leather, Navigation, Power Roof, V-6 engine, Premium Sound, Back up Camera and so much more. Select Shield Warranty Included. Don't miss out on this one. Why Not Today?